Plants annual or biennial. Culms 2-70 cm, erect or ascending. Lower sheaths densely, often retrorsely pilose; upper sheaths pubescent or glabrous; ligules 1-1.5 mm, hairy, obtuse, erose; blades 2-19 cm long, 1-4 mm wide, abaxial surfaces glabrous or hairy, adaxial surfaces hairy. 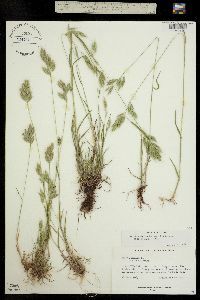 Panicles 1-13 cm long, 1-4 cm wide, erect, usually ovoid, open, becoming dense, occasionally reduced to 1 or 2 spikelets; branches shorter than the spikelets, ascending to erect, straight or almost so. Spikelets (11)14-20(23) mm, lanceolate, terete to moderately laterally compressed; florets 5-10, bases concealed at maturity; rachilla internodes concealed at maturity. Glumes pilose or glabrous; lower glumes 5-7 mm, 3-5-veined; upper glumes 6.5-8 mm, 5-7-veined; lemmas 6.5-11 mm long, 3-5 mm wide, lanceolate, chartaceous, antrorsely pilose to pubescent, or glabrous proximally or throughout, 7-9-veined, lateral veins prominently ribbed, rounded over the midvein, hyaline margins abruptly or bluntly angled, not inrolled at maturity, apices acute, bifid, teeth shorter than 1 mm; awns 6-8 mm, usually arising less than 1.5 mm below the lemma apices, straight to recurved at maturity; anthers 0.6-1.5 mm. Caryopses equaling or shorter than the paleas, thin, weakly inrolled to flat. 2n = 28. 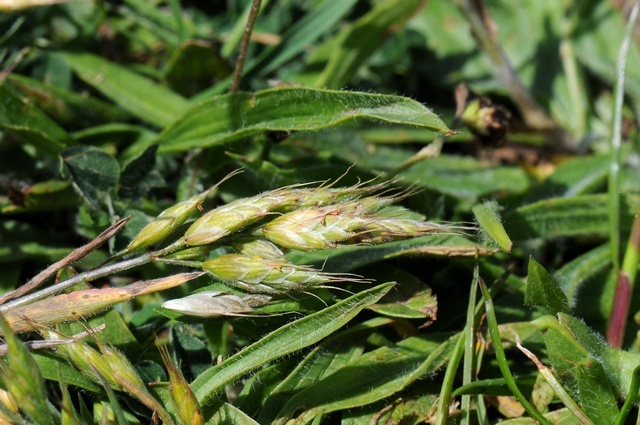 Bromus hordeaceus is native to southern Europe and northern Africa. 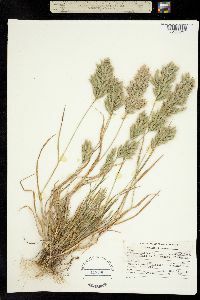 It is weedy, growing in disturbed areas such as roadsides, fields, sandy beaches, and waste places, and can be found in many locations in the Flora region, with the exception of the central Canadian provinces and most of the southeastern United States. Its origin is obscure. Ainouche et al. 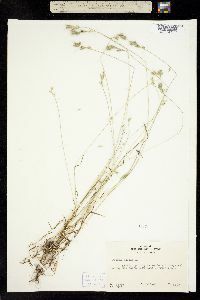 (1999) reviewed various suggestions, and concluded that at least one of its diploid ancestors may have been an extinct or undiscovered species related to B. caroli-henrici, a diploid species. 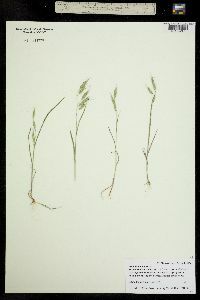 The four subspecies are usually morphologically distinct. Ainouche et al. (1999), however, found no evidence of genetic differentiation among them. 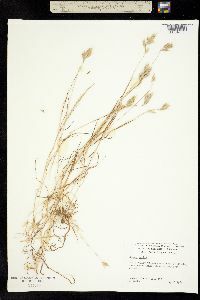 In 1913 I found this species to be frequent along the roadside near the water works in Michigan City, La Porte County.